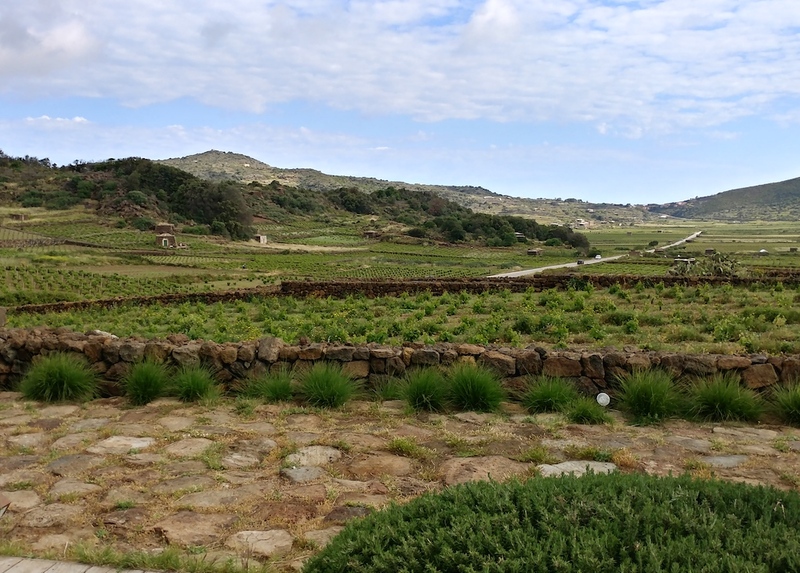 Amphitheatre Terraced with Lava Stone Walls of Capers Plants on Pantelleria Island. 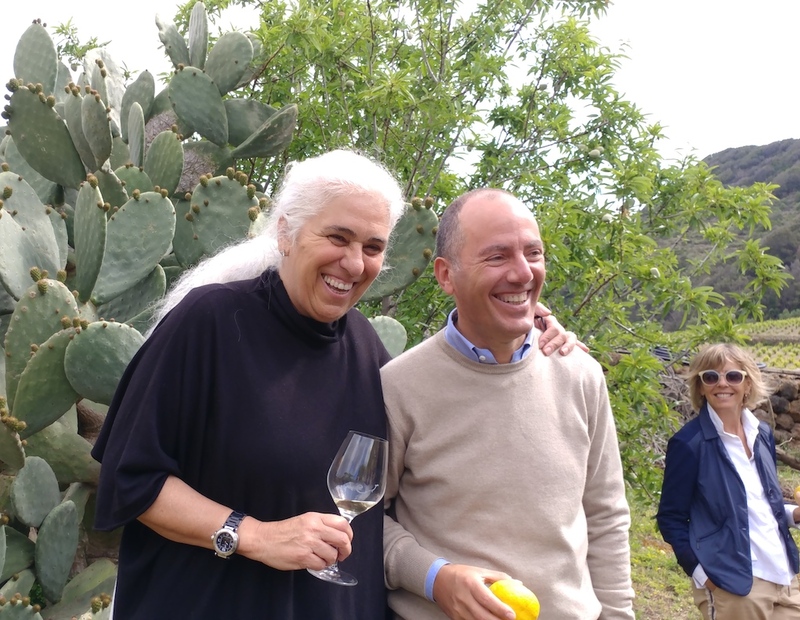 Giulia Pazienza Gelmetti, owner of Coste Ghirlanda, and Antonio Rallo, Family Owner of Donnafugata. 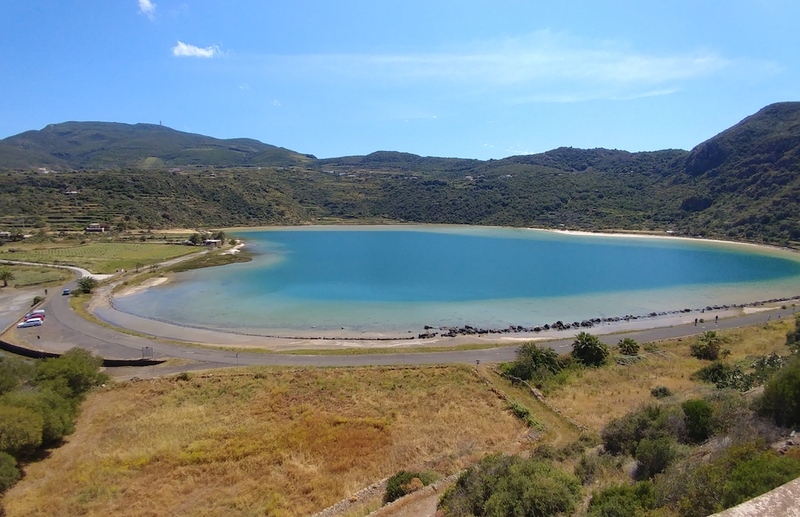 “The Mirror of Venus” on Pantelleria Island. Ancient Dammusi Dwelling on Coste Ghirlanda's Property. Antonio Rallo Showing Donnafugata's Zibibbo Vines by Mediterranean Sea. Antonio Rallo, Family Owner of Donnafugata, Talking to Us About Their Experimental Vineyard on Pantelleria. Antonio Rallo, Family Owner of Donnafugata, Talking to Us About Their Pantelleria Experimental Vineyard. 2005 Donnafugata Ben Ryé, Passito di Pantelleria DOC. 2008 Donnafugata Ben Ryé, Passito di Pantelleria DOC. 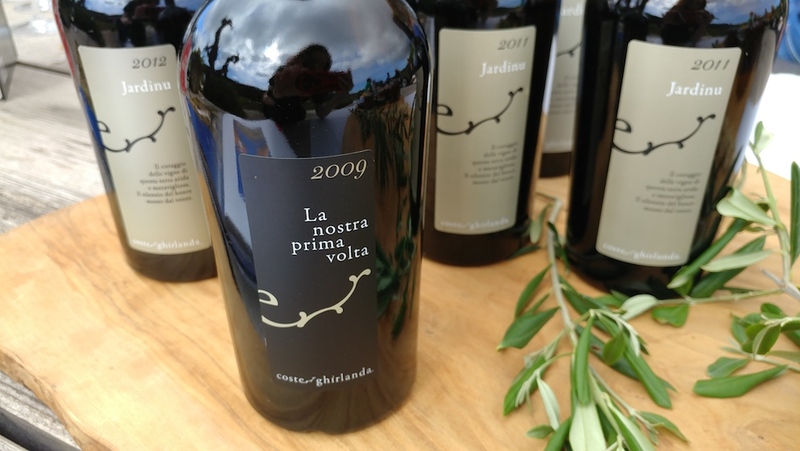 2010 Coste Ghirlanda Jardinu Wine. 2015, 2008 and 2005 Donnafugata Ben Ryé, Passito di Pantelleria DOC. 2015 Donnafugata Ben Ryé, Passito di Pantelleria DOC. 2016 Donnafugata Floramundi Cerasuolo di Vittoria DOCG. 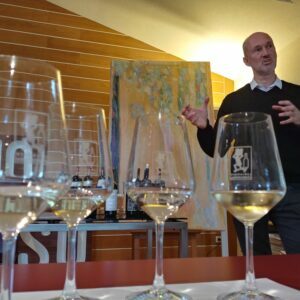 2017 Donnafugata Sur Sur Sicilia DOC. 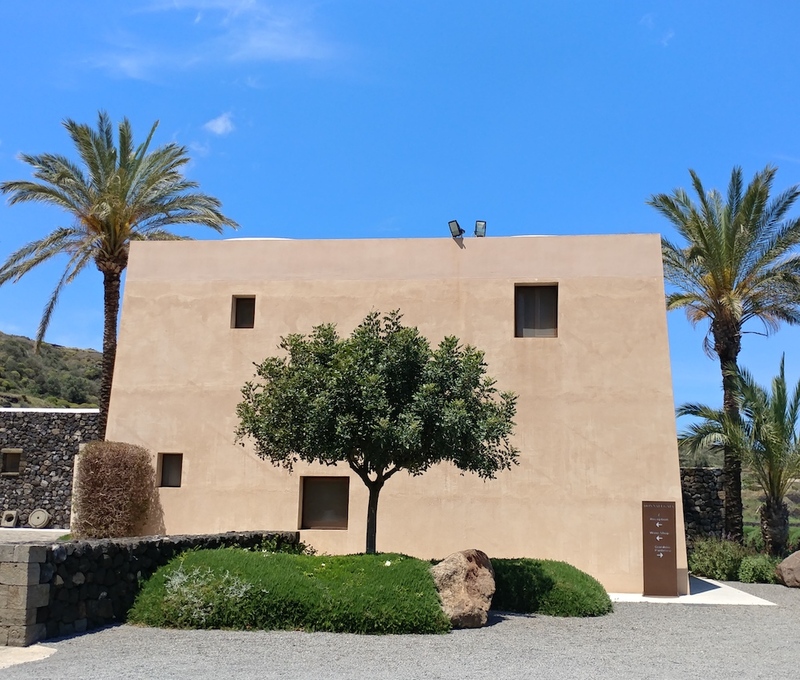 Coste Ghirlanda Winery on Pantelleria Island. Dinner at Coste Ghirlanda's Hotel Sikelia. 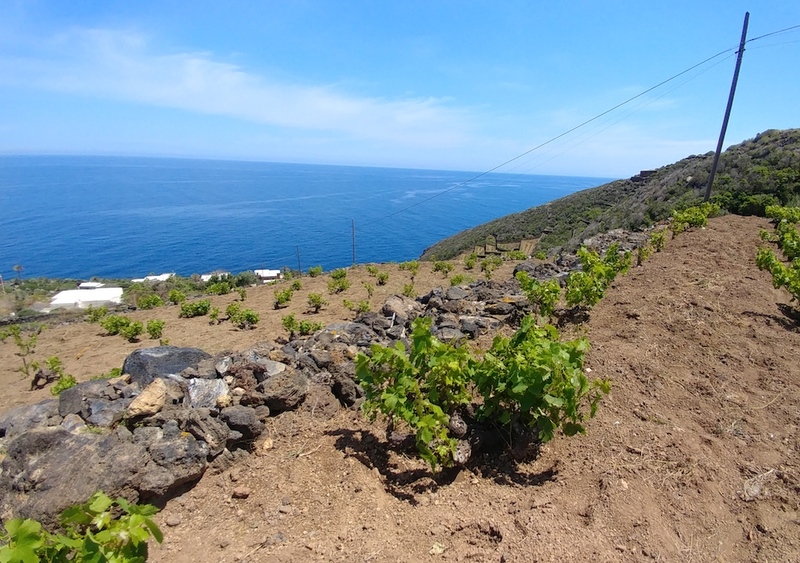 Donnafugata's Khamma Winery on Pantelleria. 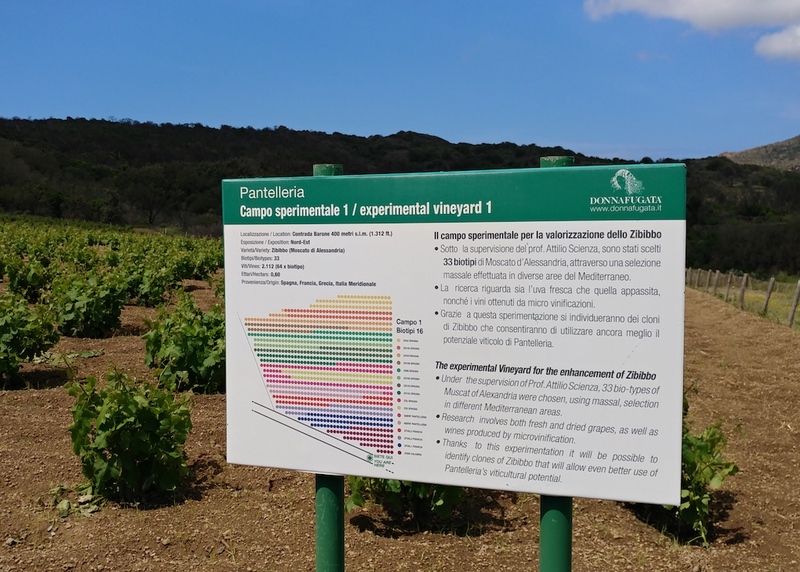 Donnafugata's Experimentation Vineyard with 33 Biotypes of Zibibbo. Donnafugata's Zibibbo Bush Vines by the Mediterranean Sea. 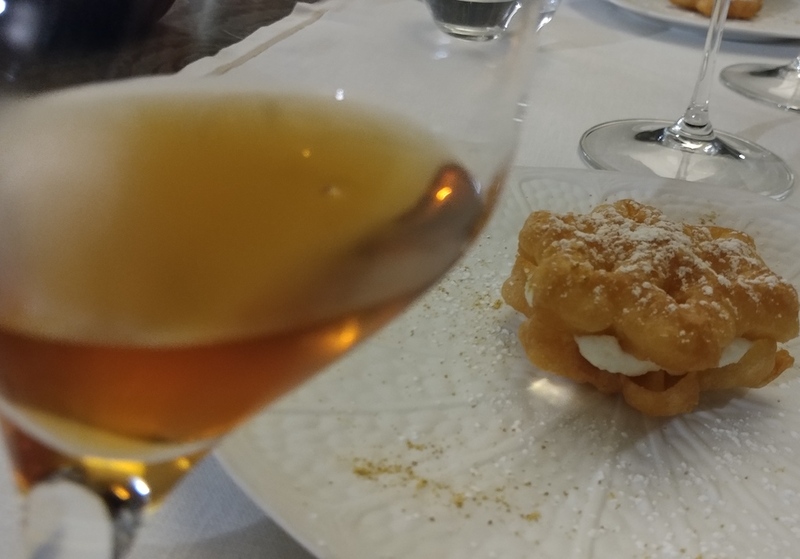 Famous Dessert of Pantelleria Bacio Pantesco aka The Kiss of Pantelleria. Landscape at Coste Ghirlanda Winery. 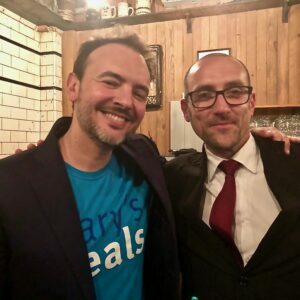 Glass of 2015 Donnafugata Ben Ryé, Passito di Pantelleria DOC. 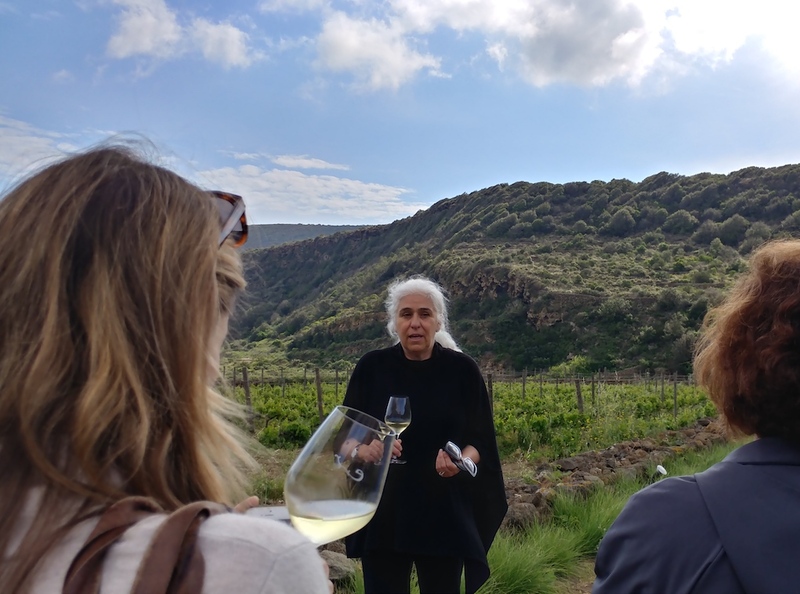 Giulia Pazienza Gelmetti, owner of Coste Ghirlanda, Giving Us a Tour of Her Vineyards. One of Donnafugata's Zibibbo Vineyards. 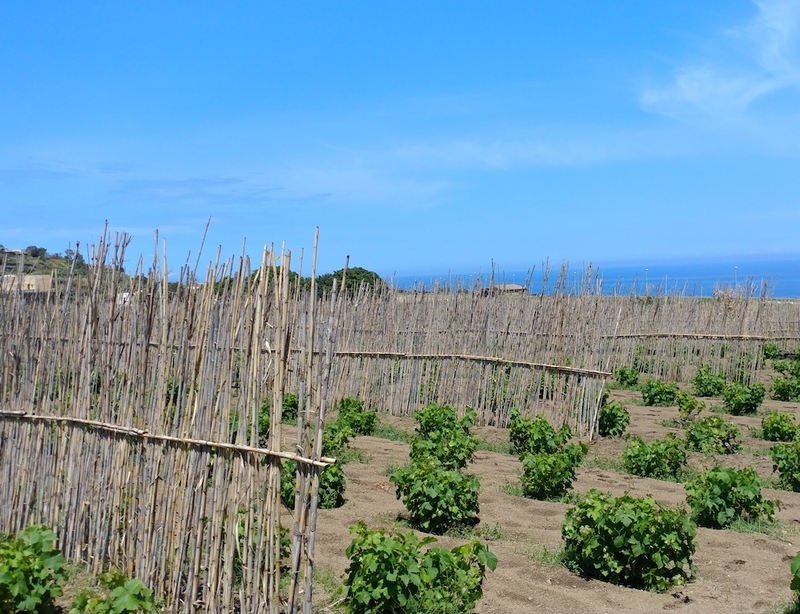 One of Donnafugata's Vineyards Protected from the Wind by Wood Slat Fences. 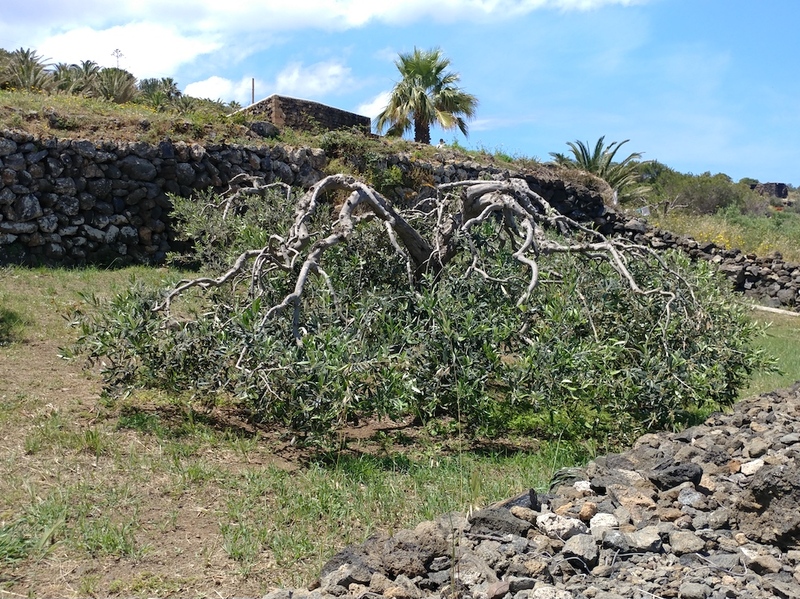 Olive Tree Weighted Down to Protect it from the Wind on Pantelleria Island. One of Donnafugata's Zibibbo's Bush Vines by the Mediterranean Sea. Pool Area at Hotel Sikelia. 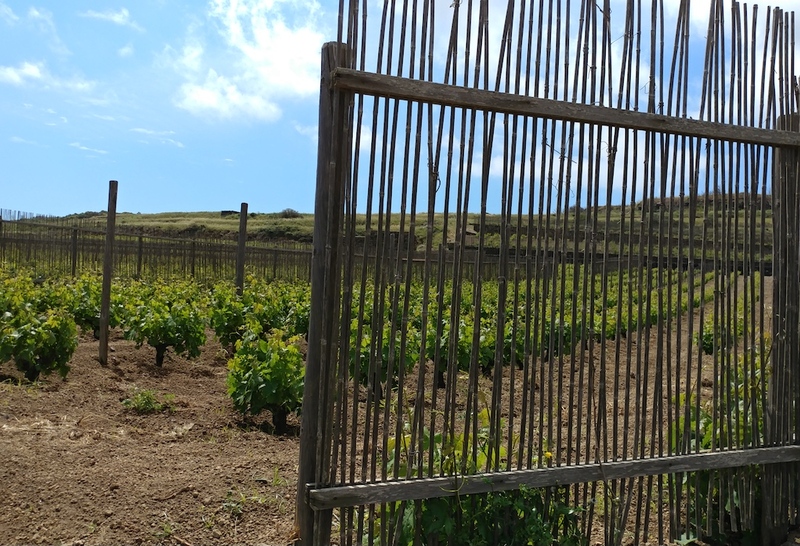 Slats of Wood protect Donnafugata's Zibibbo Vines by the Mediterranean Sea. Terraced Lava Stone Walls on Pantelleria Island. The Grounds at Hotel Sikelia. The Arc of Elephant on Pantelleria Island. 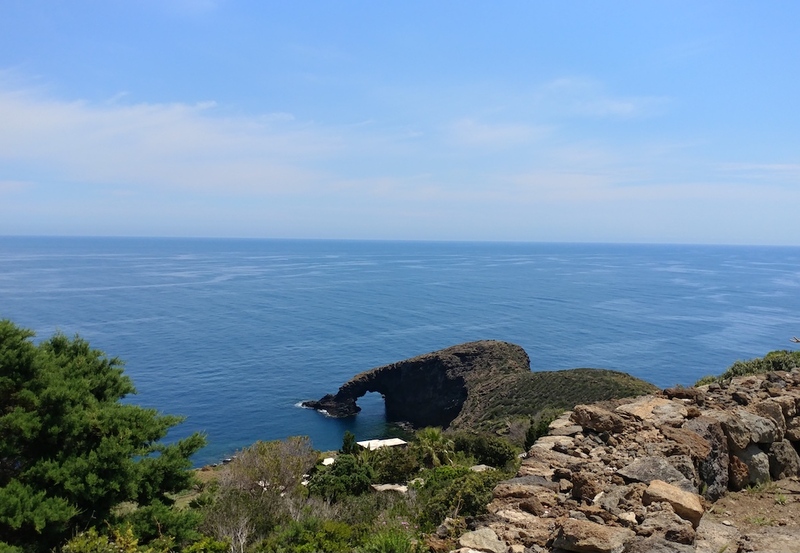 The Arc of Elephant on the island of Pantelleria. The View of Donnafugata's Khamma Winery Surrounded by Zibibbo Vineyards. 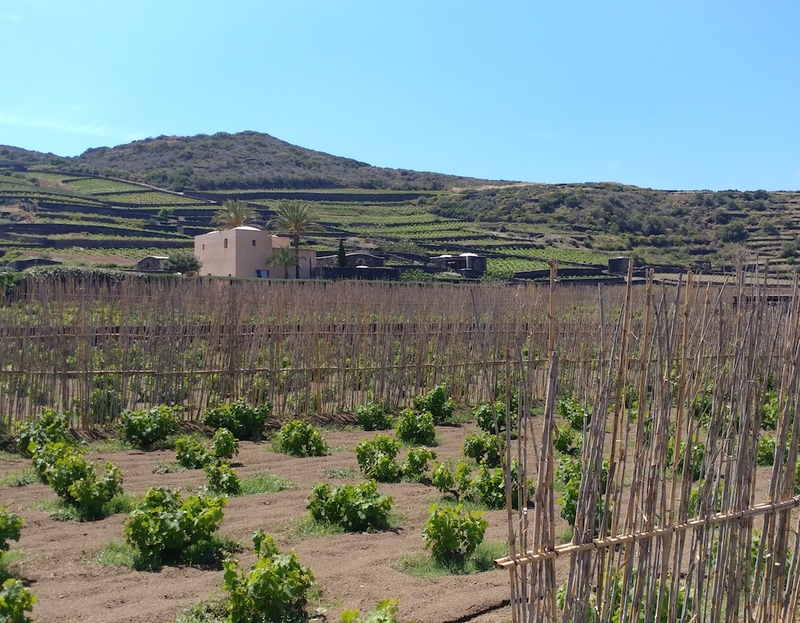 Vineyards at Coste Ghirlanda on Pantelleria Island. 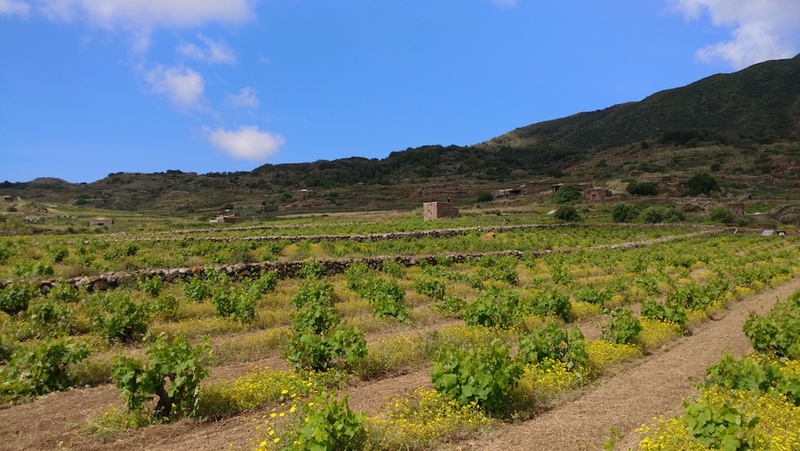 Vineyards at Coste Ghirlanda on the island of Pantelleria. 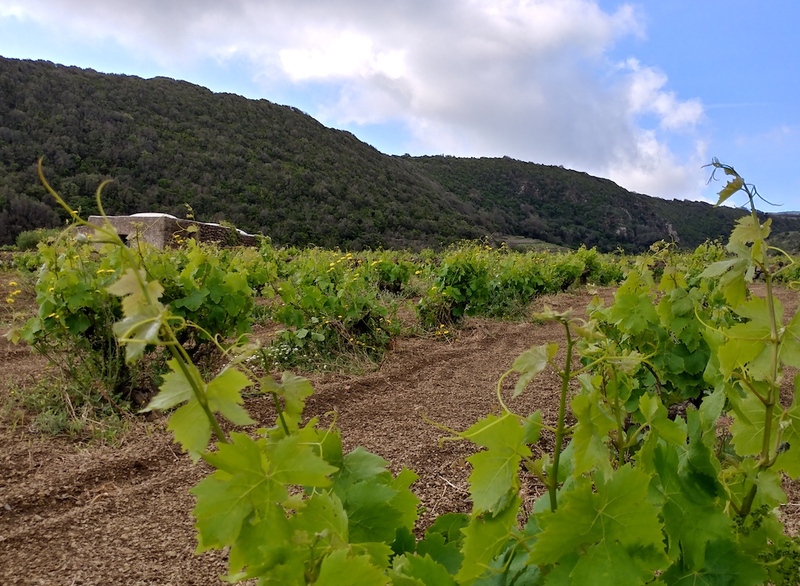 Wide View of the Coste Ghirlanda Vineyards After a Storm. Wild Flowers Growing Out of the Lava Stone Rocks on Pantelleria Island. Zibibbo Bush Vine at Coste Ghirlanda. 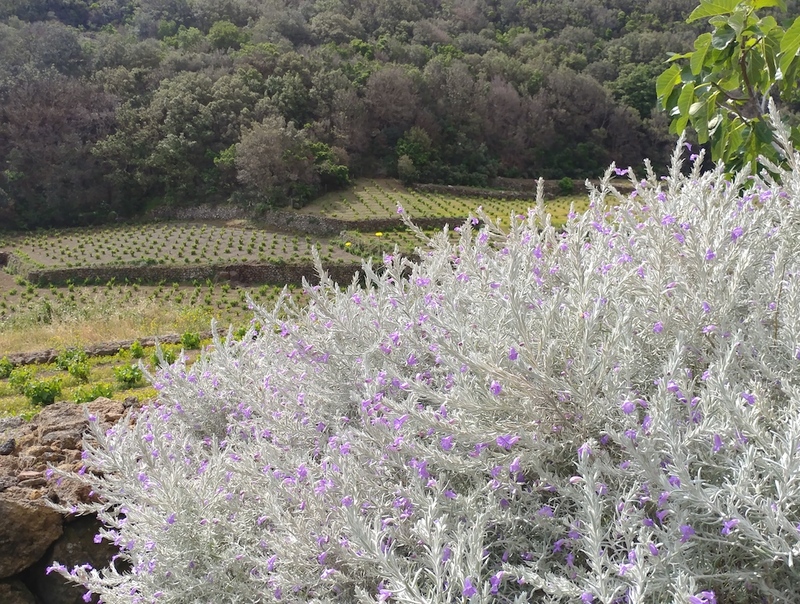 Wild Flowers Growing All Around the Vineyards of Coste Pantelleria. 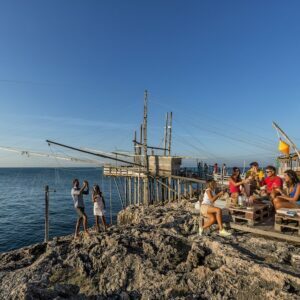 As I was sitting in the tiny Trapani airport in Sicily awaiting a flight to the Pantelleria Island, nicknamed the last secret island of Italy, I started to feel butterflies in my stomach from the anticipation of a flight riddled with turbulence. The day before, many flights from Trapani to Pantelleria were canceled because of an intense storm from North Africa (Pantelleria sits between Sicily and Tunisia) that created 70 knot winds but it seemed we were okay to fly the next day… keeping in mind that at the last minute, a pilot can decide to pull up out of a landing due to the difficulties generated by the fact that the tiny Pantelleria airport sits at the edge of a mountain and so navigational instruments are supposedly not of much use. 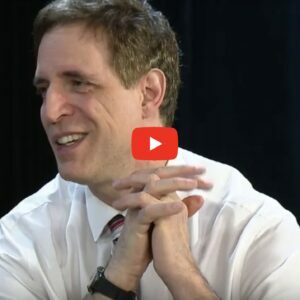 There was a huge thump when we hit the ground as we landed, and I had to take all the will power I had to keep from ripping off my seatbelt and leaping into the air. 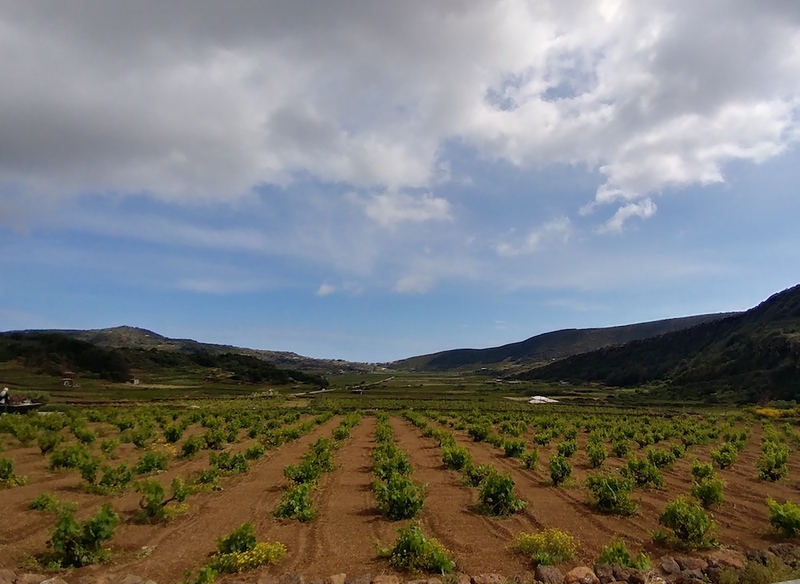 It had been a long time dream of mine to visit the island of Pantelleria… those who love Sicilian wines know very well that Donnafugata makes one of the greatest sweet wines in the world on this sparsely populated island. 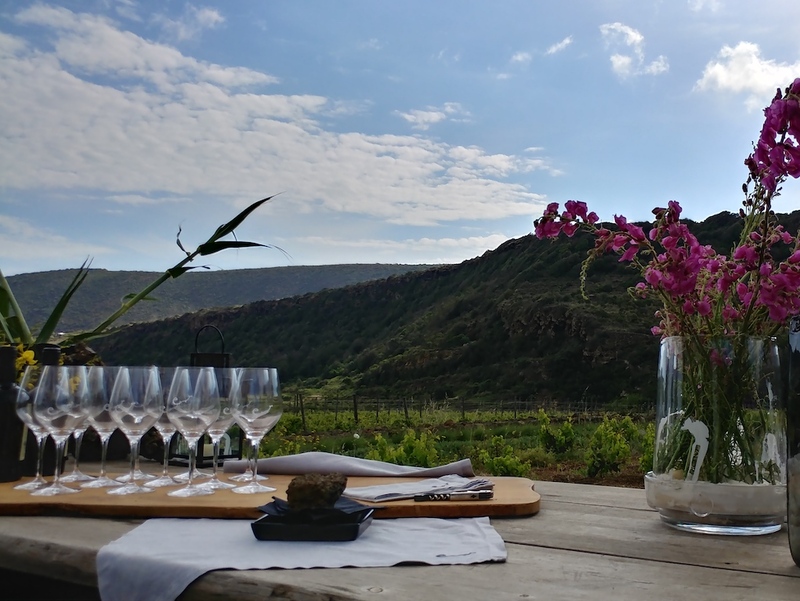 I had been told by many Sicilian winemakers that either I will love Pantelleria or hate it as it is a place of extremes that could either bring tranquility or discord within one’s soul. We were picked up at the airport in darkness, as we had taken an evening flight, and it was impossible to get a sense of the place as we drove to our hotel… until I stepped out at our destination; I looked up and the shining stars took my breath away and recharged my exhausted body – I never knew stars could be so bright. 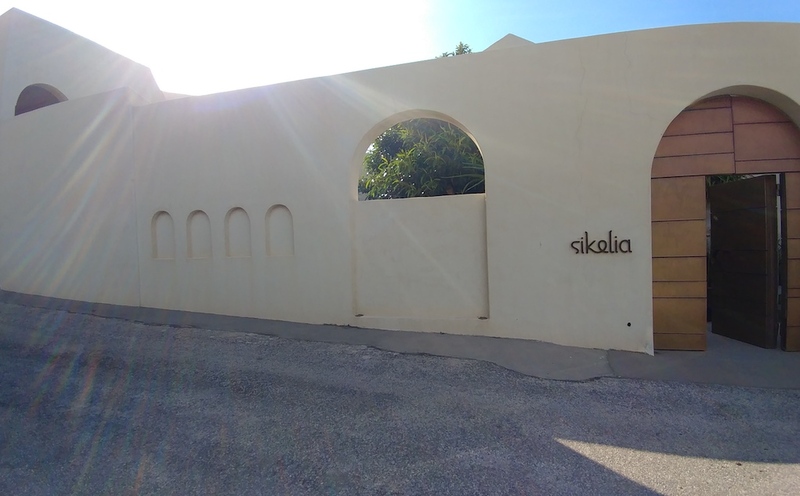 Before I knew it, a woman with long, flowing white hair welcomed us with open arms to her luxurious boutique hotel, Hotel Sikelia, and we were treated like kings and queens during our stay there. 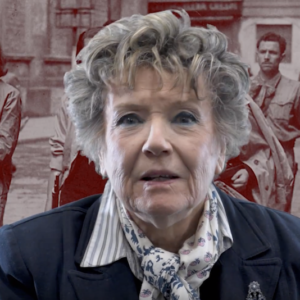 Giulia Pazienza Gelmetti, owner of Hotel Sikelia, is also the owner of one of the wineries on the island, Cantina Coste Ghirlanda. 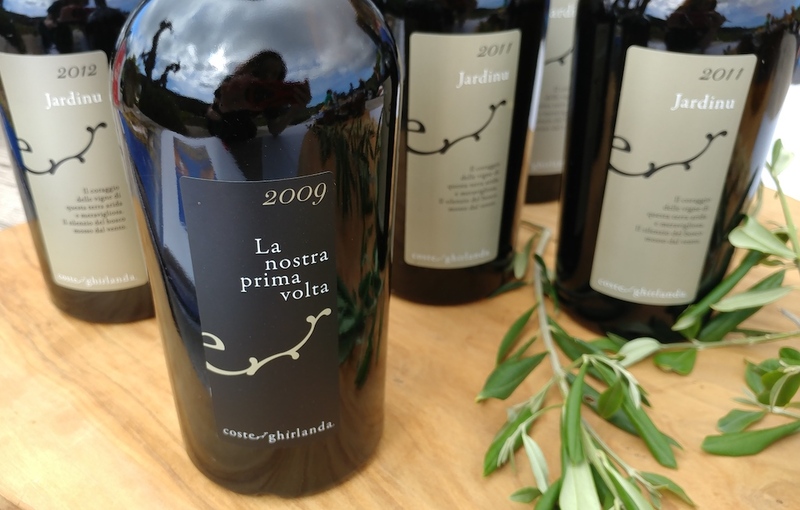 It was quite an experience to visit the Coste Ghirlanda vineyards with their tiny Zibibbo, aka Muscat of Alexandria, bush vines with stone walls all around protecting not only the wine grapes but also all the caper and spice plants as well as the orange, lemon and olive trees – it was like the garden of Eden. 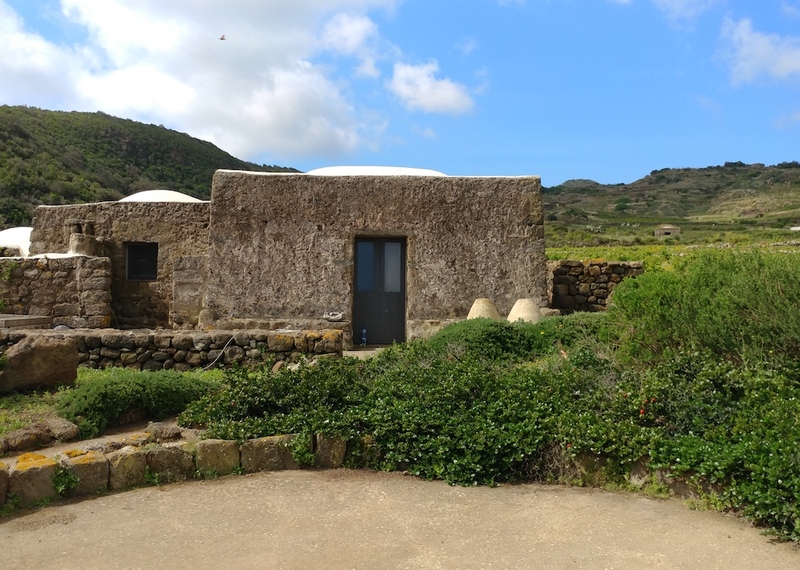 The wind on Pantelleria is so fierce at times that everything needs to be grown close to the ground. 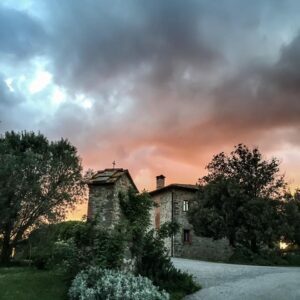 As Giulia showed us the ancient dammusi dwelling that she was renovating on her properties for those lovers that would appreciate a secluded landscape, I felt this former basketball player could achieve anything, even making this place a special destination for the adventurous vino lover. 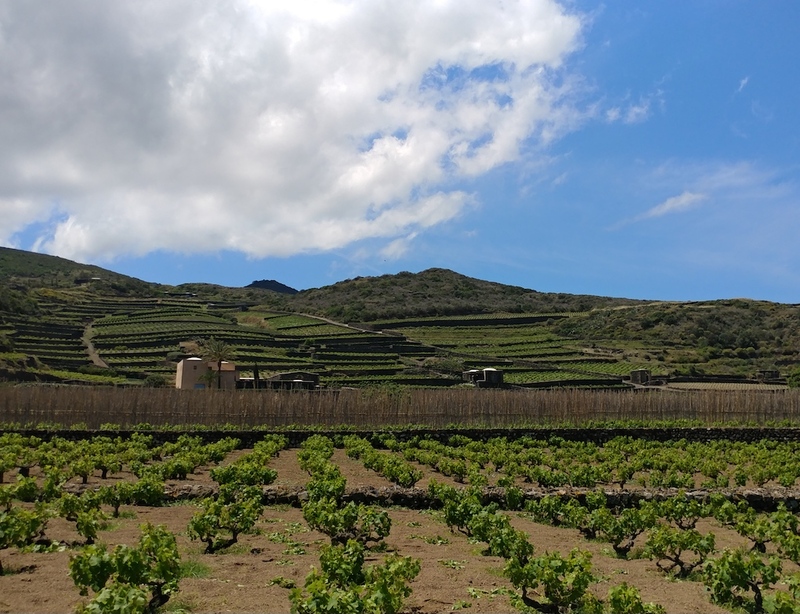 Then a family owner from one of the top Sicilian wineries, Donnafugata’s Antonio Rallo, came to pick us up at Coste Ghirlanda to take us to their vineyard and winery. 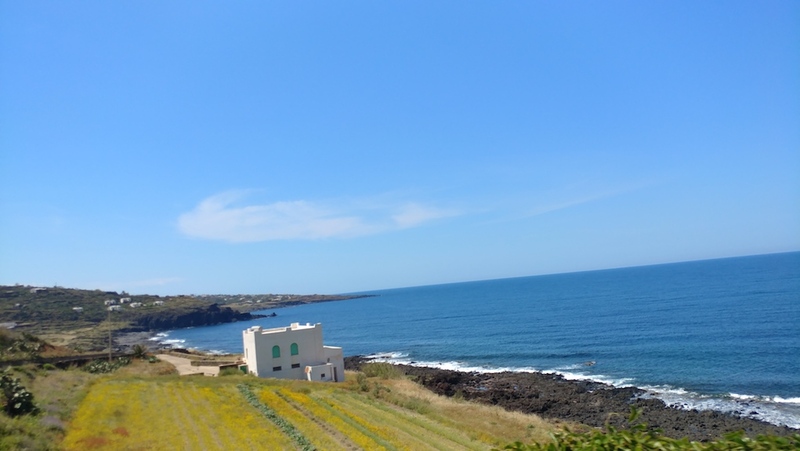 When I thought I could not see anymore sites that would astonish me, I saw an amphitheatre terraced with lava stone walls of caper plants that are legendary to the island of Pantelleria, as well as various Donnafugata vineyards that ranged from a desert setting to the edge of the rocky cliffs along the Mediterranean Sea. 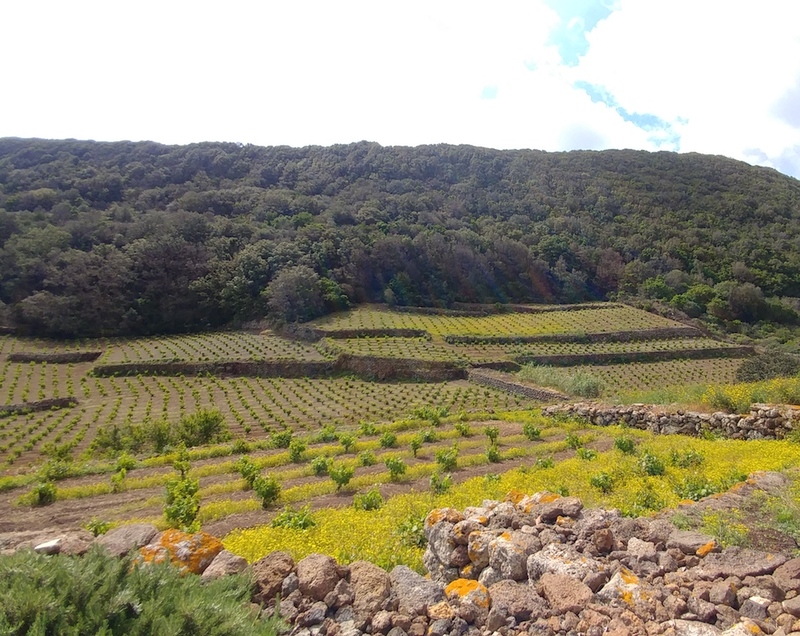 Each vineyard site (Donnafugata has vineyards in 14 districts on the island) seemed to have its own micro-climate and extreme environment, and although one would think that only a crazy wine producer would try to make it work in such a place, Donnafugata has invested time and money into restoring this island for many years. 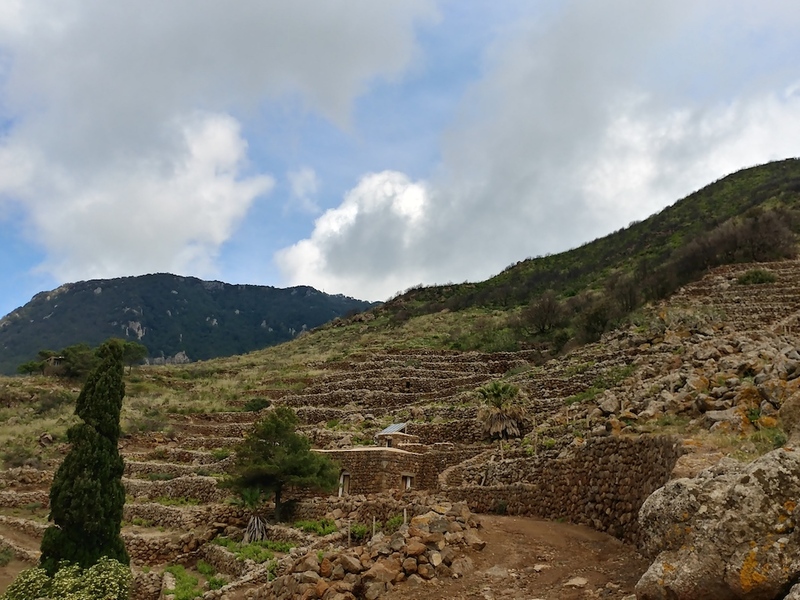 They have spent the last 25 years maintaining the ancient stone walls of the island, as well as keeping the rare training system of UNESCO world heritage alberello pantesco technique alive (low bush-trained vines with a hallow circumference dug in the ground) – believed to have been invented by Phoenicians over 2,500 years ago, and creating an experimental vineyard of 33 biotypes of Zibibbo (Muscat of Alexandria) to constantly strive to find the best biotypes for Pantelleria. 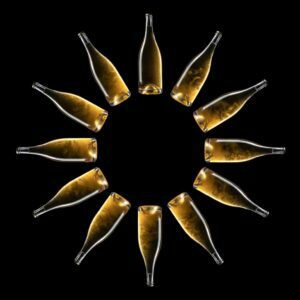 Donnafugata’s sweet wine, Ben Ryé – from the Arabic word meaning the “Son of the Wind”, is one of the greatest in my opinion. A wine that is the epitome of liquid gold and it’s made in a laborious process by hand picking grape berries, berry by berry, that includes a fermentation that lasts around a month of adding dried grapes to fresh Zibibbo juice in several installments… all from vines that survive with very little water as most of the water they receive is collected from the humidity of the night. After our vineyard visits we had lunch at Donnafugata’s Khamma winery with all the people working in their vineyards. 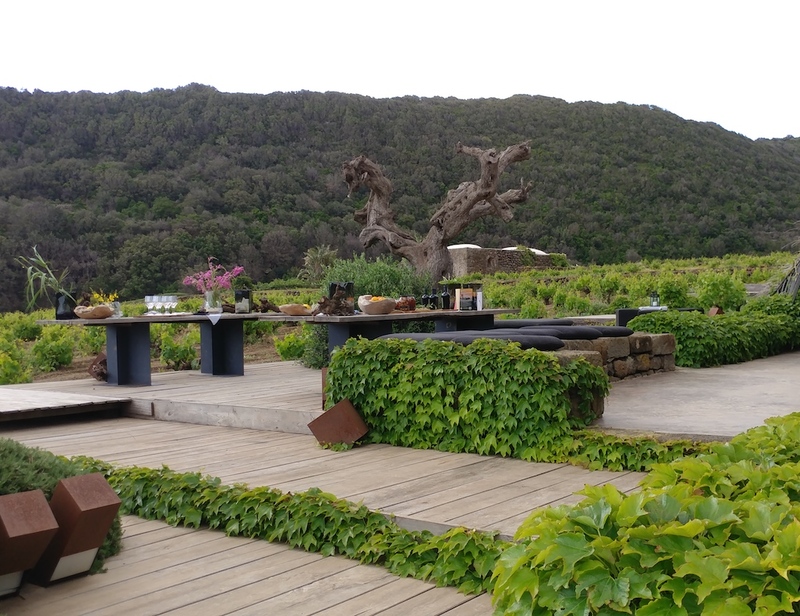 It was a lovely lunch that highlighted all the produce that is abundant on the island while tasting through the current lineup of their wines. 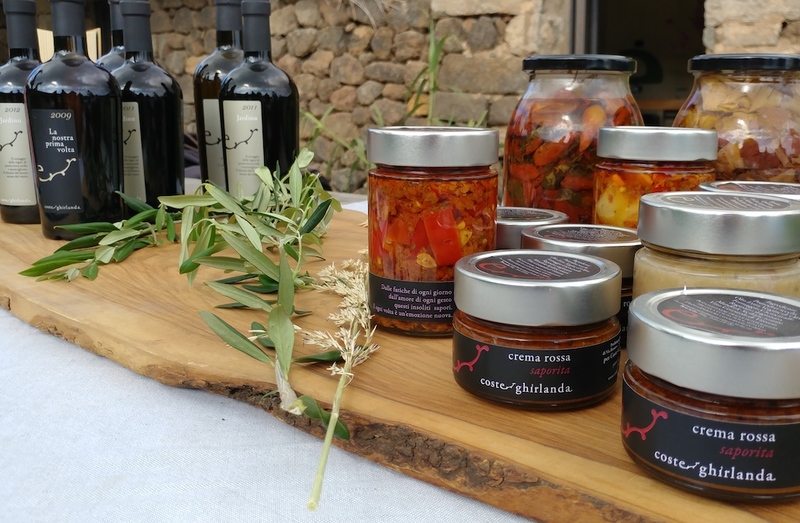 I sat next to Antonio Rallo (family owner, agronomist, winemaker and president of Sicilia DOC) during lunch, and he talked about how he tries to spend as much time on Pantelleria as he can. 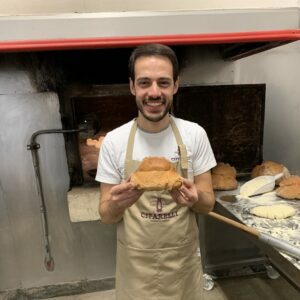 Of course, he has many responsibilities in regards to uplifting Sicilian wines as a whole, but as more time goes on, he feels more drawn to Pantelleria like his late, great father Giacomo Rallo. 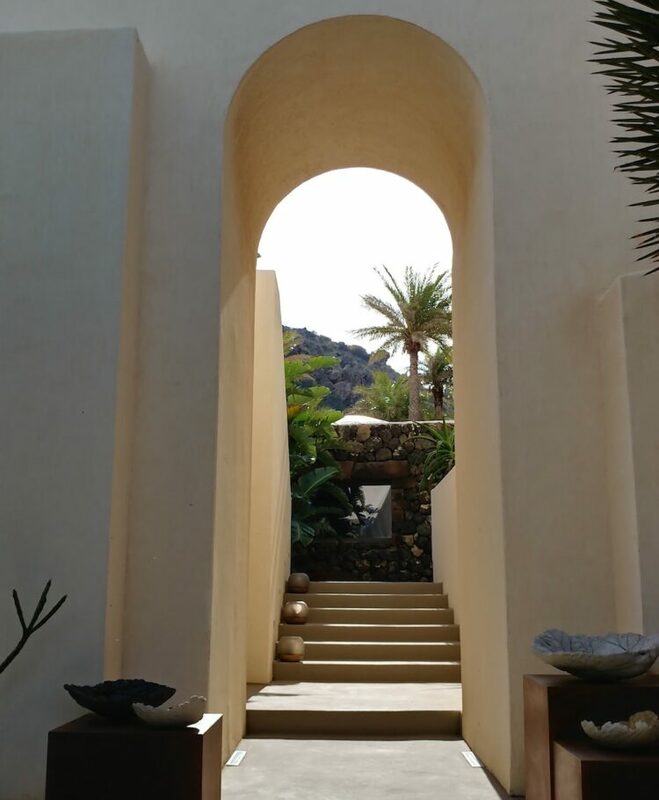 Pantelleria is one of those places where people are not concerned with labels or status, and this is probably why famous celebrities vacation there in secrecy; human beings just treat each other like human beings without trying to size them up. The wild beauty, rugged rocks and unforgiving wind rips away the superficial so that only the core of life is left standing. 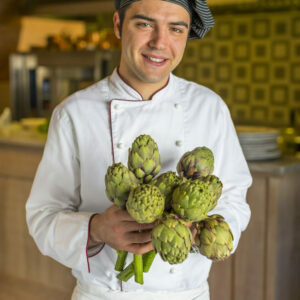 At the end of our lunch I could see Antonio Rallo was physically exhausted… but he looked happy… that is the power of Pantelleria. It is an island that tears away our baggage so we can reconnect to that raw joy we thought we lost long ago. I cannot find Cantina Coste Ghirlanda wines on the US market yet so for that reason I have only recommended Donnafugata wines below. 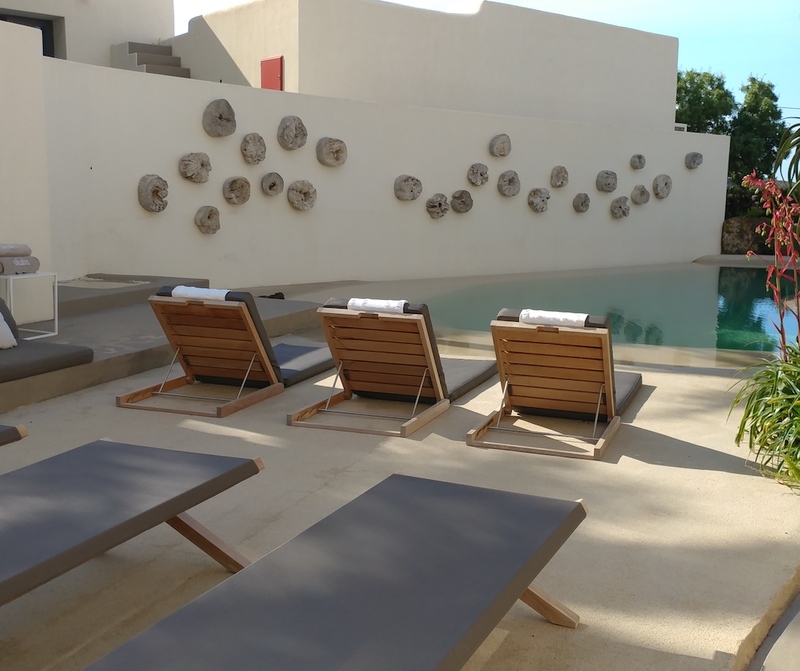 But I would recommend keeping your eyes open for them, and if by any chance you get to visit Pantelleria and you don’t want to give up your creature comforts, I would highly recommend their Hotel Sikelia. Also, Donnafugata just came out with a Cerasuolo di Vittoria DOCG, a Sicilian red wine which has the highest quality designation in Sicily. 2016 Donnafugata Sedàra, Red Sicilia DOC ($14.99): Majority Nero d’Avola. 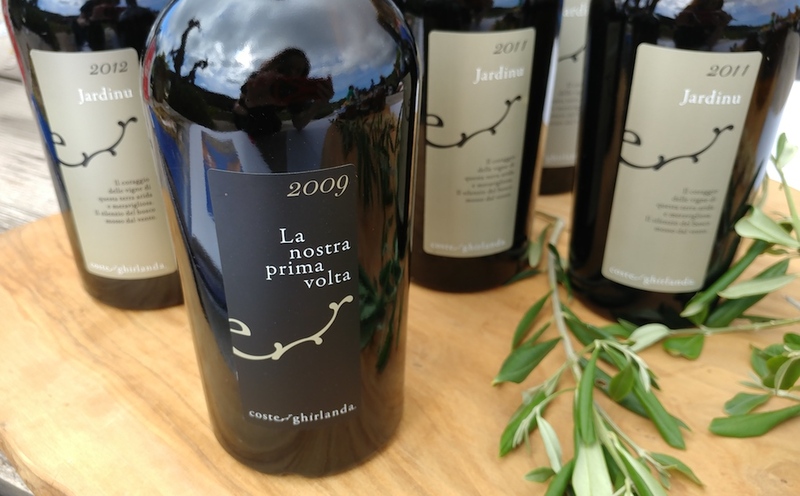 This is the one wine I recommended that I didn’t taste during my Pantelleria lunch with Donnafugata, but it is a red wine that I have often tasted here in NYC. Juicy fruit flavors of black cherries and blueberries that had a spicy finish. A round, inviting red that will be ideal for Summer sipping. 2017 Donnafugata Sur Sur, Sicilia DOC ($20): 100% Grillo. 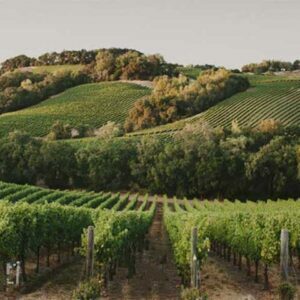 Grillo has become the white Sicilian grape variety that is known for quality and freshness. Floral and sweet peaches on the nose with a medium body that had a zingy finish. 2016 Donnafugata “Floramundi”, Cerasuolo di Vittoria DOCG ($26): A blend of Nero d’Avola and Frappato. This is a special red wine that one can only find in Sicily, and hence, why it has the highest quality status, DOCG, that a wine can receive. 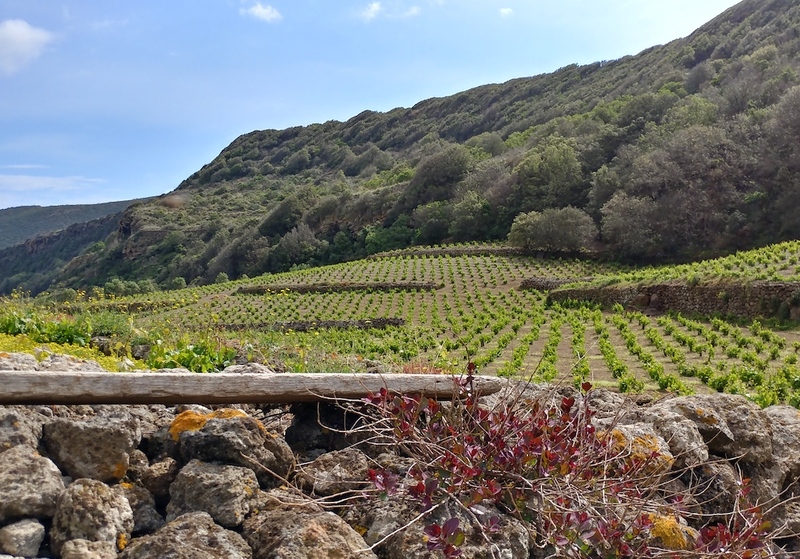 Although Donnafugata is a global success as a wine producer with four wineries throughout Sicily, they recently decided to invest in a Cerasuolo di Vittoria vineyard. This wine had an enticing perfume with cherry blossoms and dried black raspberries on the palate that had a long, expressive finish with cardamom spice and stony minerality. It is a great serious red wine for summer as it is soft and playful yet has plenty of shape and drive. 2015 Donnafugata Ben Ryé, Passito di Pantelleria DOC ($45 for half bottle): 100% Zibibbo (Muscat of Alexandria). The heavens open and the angels sing and so we know that it is time to talk about Ben Ryé. 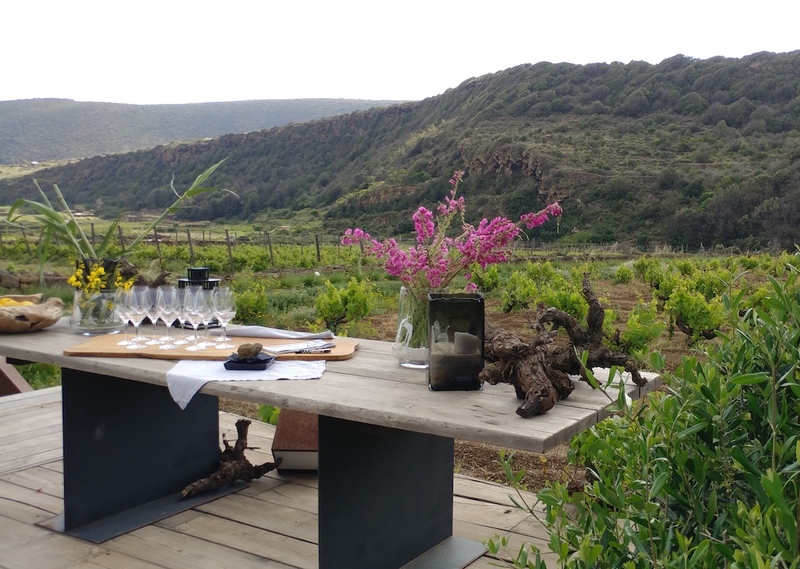 Pantelleria is a volcanic island between Sicily and Tunisia and the vines used for this wine are able to survive extreme conditions. 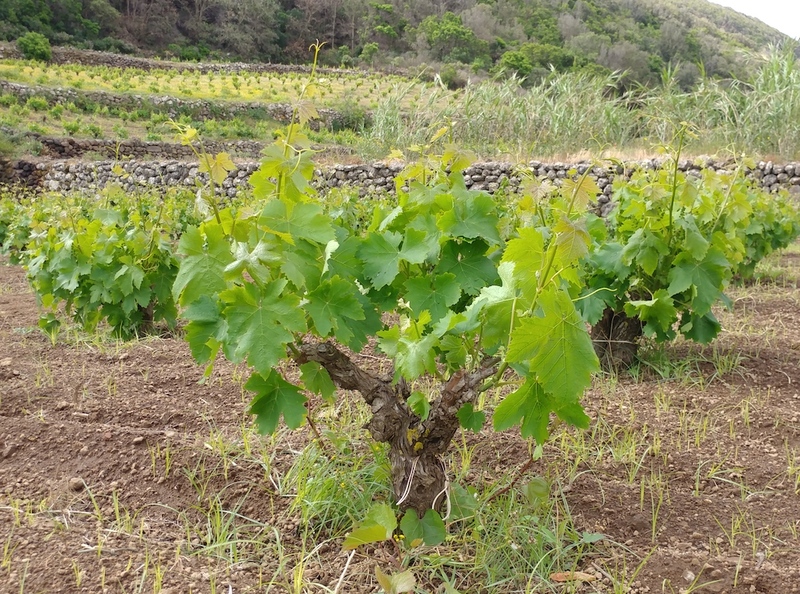 Again, these Zibibbo vines are grown on low head-trained bush vines called the alberello pantesco technique that is inscribed on the UNESCO World Heritage List as a ‘creative and sustainable practice’. The bronze tinted gold color of this wine is like no other with deep flavors of orange marmalade and baking spice with smoky volcanic ash. The lush body was balanced by bright notes of fresh stone fruit that finishes elegantly on the palate. Also, I tasted the 2008 and 2005 that showed how this wine transforms into a libation with more complexity; 2008 had notes of almonds, caramel and burnt sugar while the 2005 illustrated fascinating smoldering cigar notes.